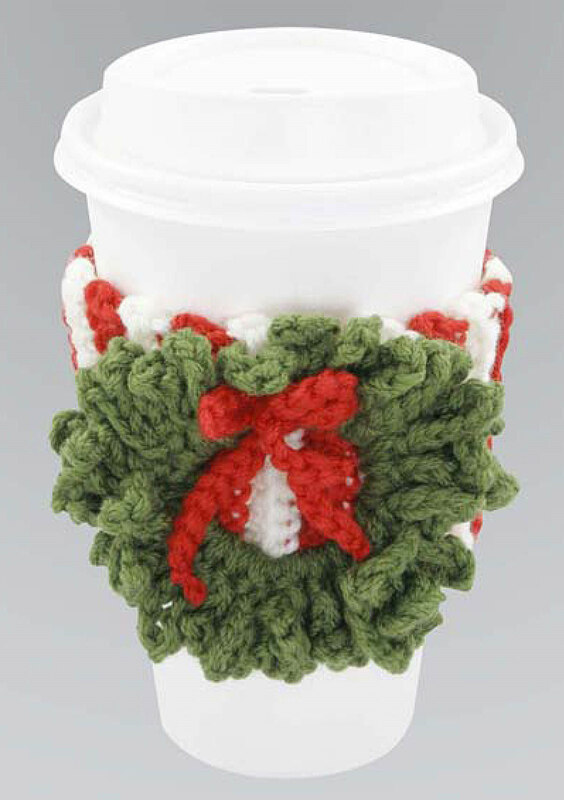 There’s not long to go now, so this week we’re featuring a free small beginners Christmas Cup Cosy crochet project that can be made up super quick! This is the first crochet pattern we’ve featured, so we’re starting simple! This gorgeous little pattern uses only 3 basic crochet stitches – chain stitch, single crochet, and slip stitch. These are the most essential stitches you need to get started on crochet, so if you’re new to it and want to learn how to crochet, then this could be the project for you! 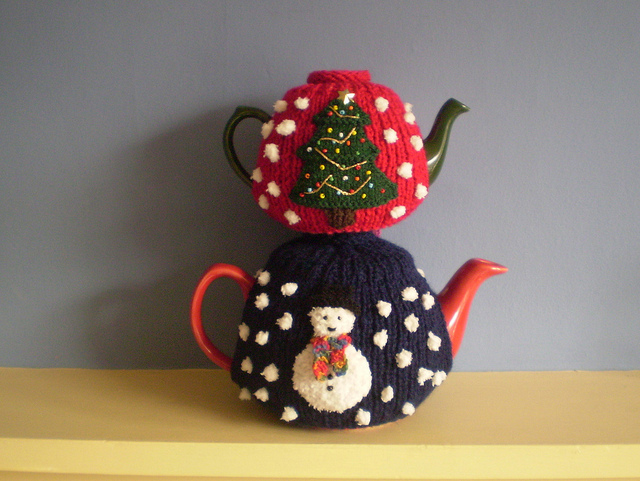 Make just one cup cosy or a whole set – this would be a great home-made christmas gift or stocking filler for someone special. This pattern was designed by Vicki Blizzard and can be printed or downloaded for free at Coats and Clark. Are you feeling festive yet? Christmas is getting close, but there’s still time to make a few things! 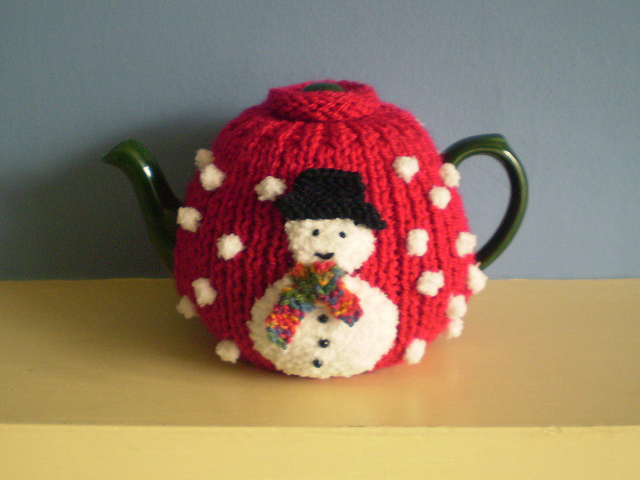 Top of our list is this funky little Christmas Pud Tea Cosy, designed by Hilary Detmers from Suffolk, UK. This free pattern is well written and very easy to follow. 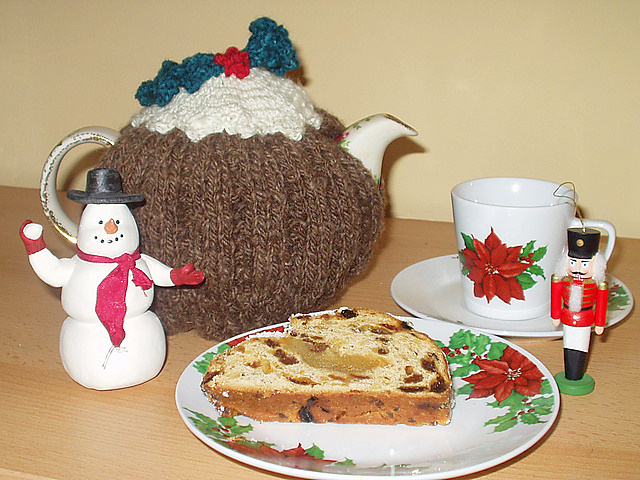 The body of the tea cosy is ribbed on two needles, the icing crocheted, and the knitted holly and berries added to finish. 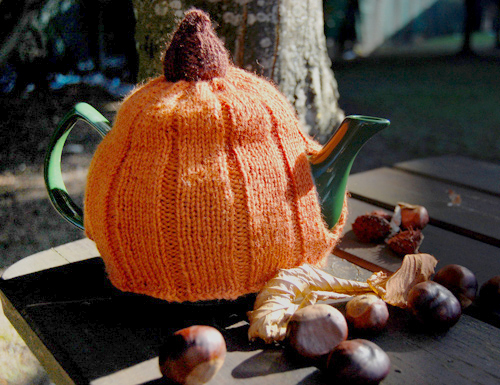 Hilary has included crochet abbreviations for both British and American teminology, and has explained how to sew up the tea cosy, using useful photographs. Hilary has more free PDF patterns on her Ravelry and on Hilary’s Craft Blog – a nice mixture of crochet, hand knit and machine knitting, all again with clear instructions on how to make them. I’m pretty new to machine knitting, however I might have to give her Crocodile Scarf or her Underhosen a go! 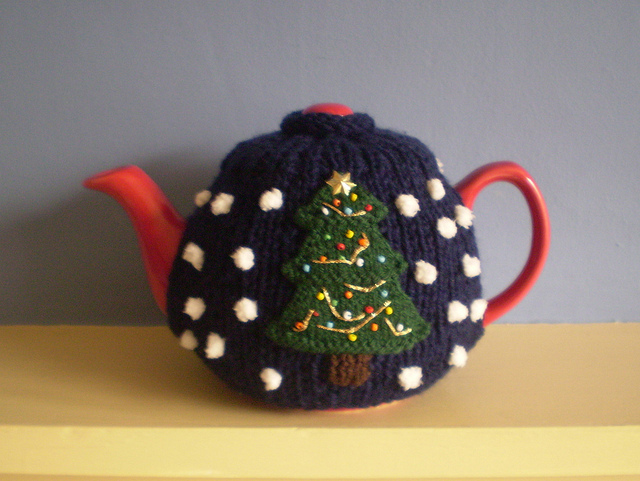 Tea Cosy Corner is looking for your submissions for free Christmas tea cosy knitting patterns to share and knit! If you’ve designed anything you think we’d like, please contact us and if we use it, we’ll send you a box of Cosy Tea 🙂 We also believe in giving our designers a bit of extra traffic as a thank you; we’ll link to you in our post and also put your blog or website in our ‘pages we like’ menu in the sidebar.